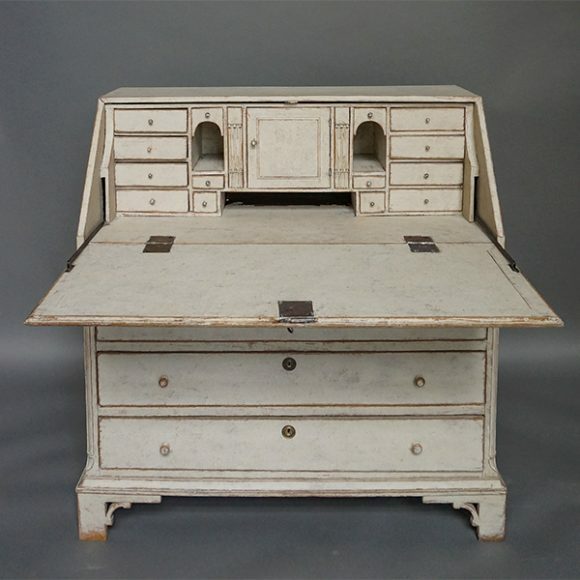 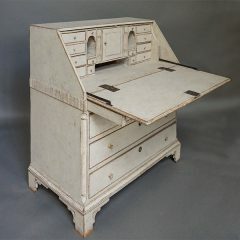 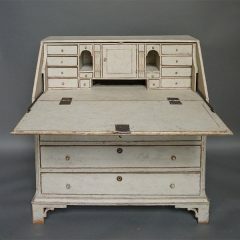 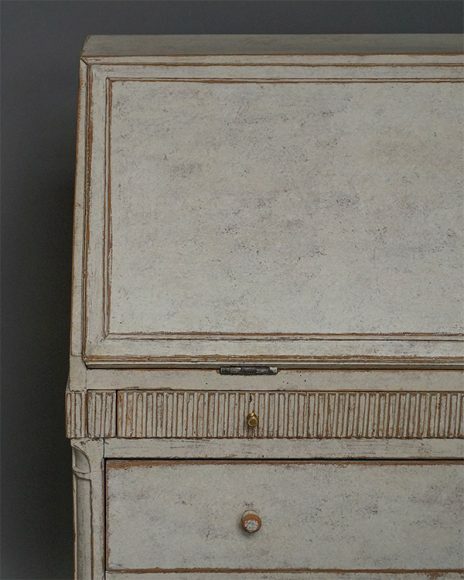 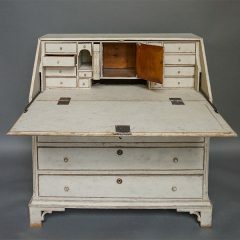 Slant-front writing desk, Sweden circa 1790, with fitted interior, including two disguised drawers. 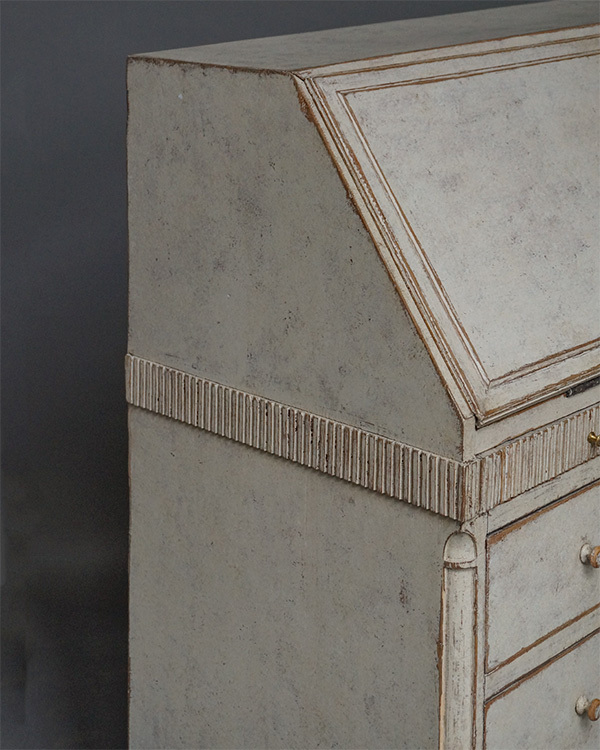 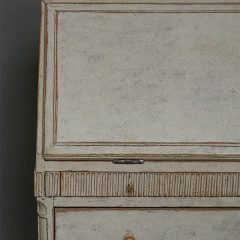 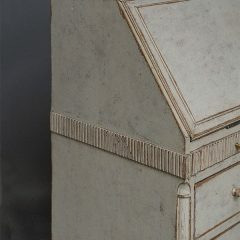 Under the writing surface on the front and sides is an applied band of vertical reeding which extends across a shallow pencil drawer. 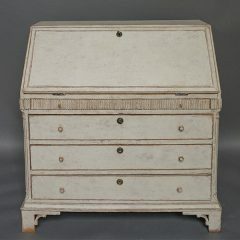 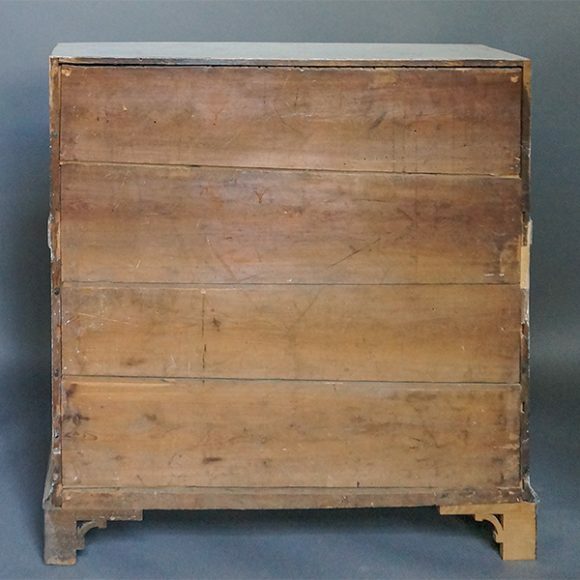 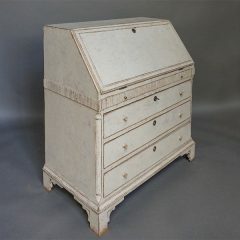 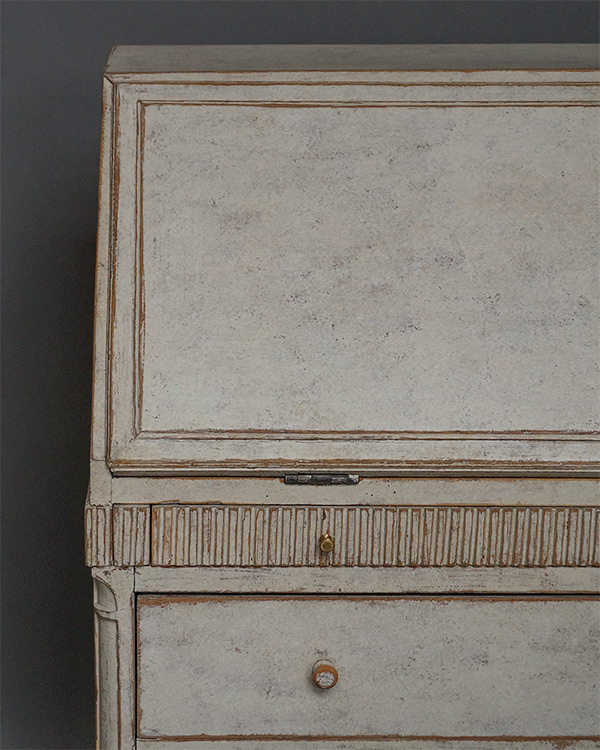 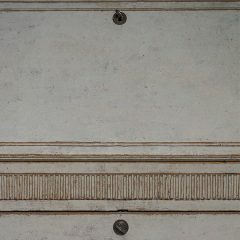 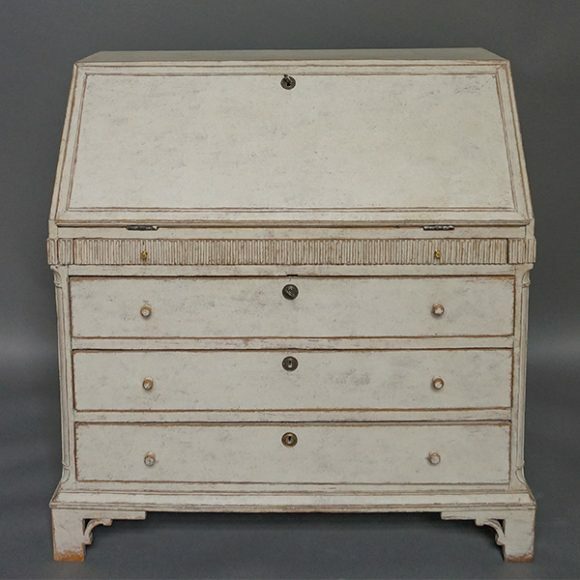 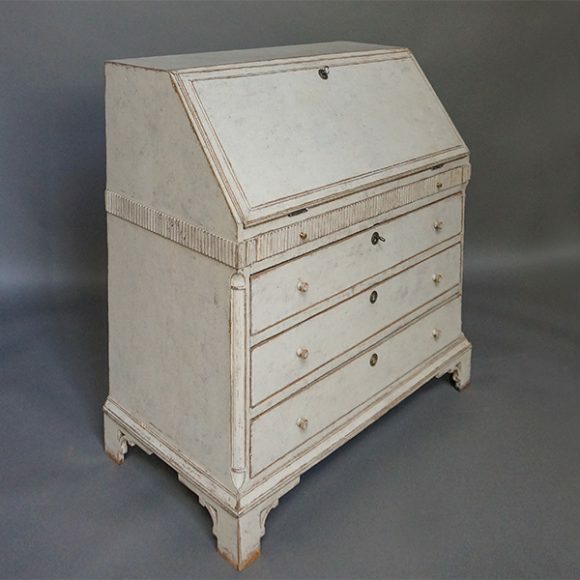 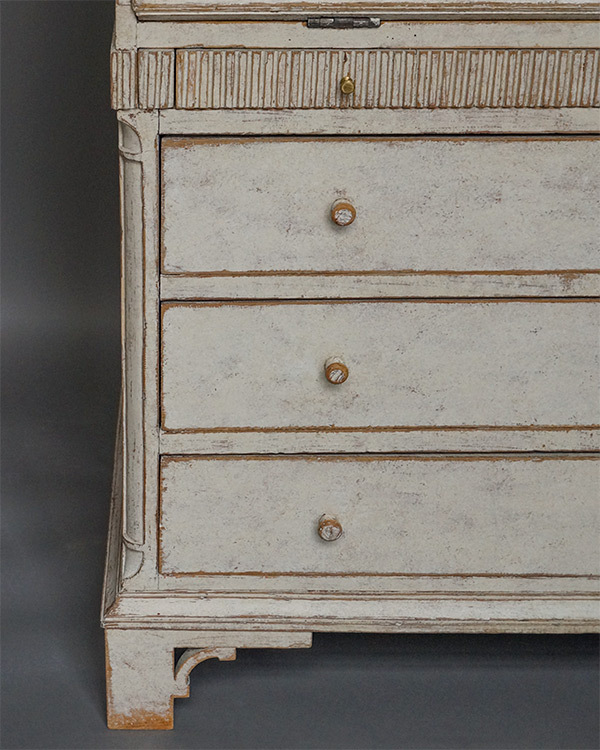 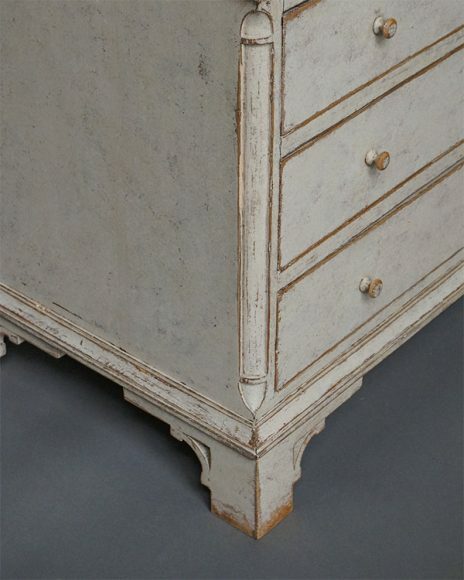 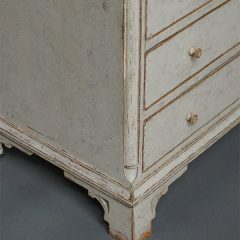 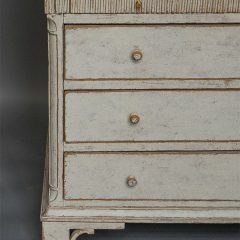 Below that are three full-width drawers and quarter-round columns at the front corners. 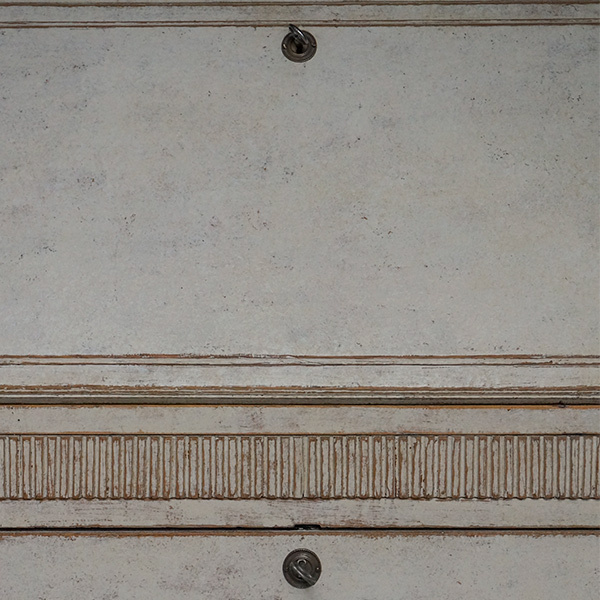 The piece rests on pierced bracket feet, one of which has been replaced.